ALAN LEE CRANE, of Eagle Rock, Missouri, was born January 30, 1963, in Eureka Springs, Arkansas, to Howard Francis and Mary June (Quinn) Crane. 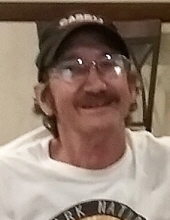 He passed away on April 7, 2019, at home in Eagle Rock at the age of 56 years. Alan was a 1981 graduate of Berryville High School and a 1984 graduate of Oklahoma State Tech in Okmulgee where he studied diesel mechanics. He then went to work for Western Geophysical and Lockheed Support Systems which allowed him to live in several different states and countries. Later he was employed by George’s Poultry in Butterfield, Missouri and Williams Tractor in Berryville. Alan enjoyed working on old vehicles and motors, reading, keeping up with current events and watching the races on television. He will be missed very much by his friends and family. He is survived by his mother, Mary June Crane of Grandview; one brother, William “Billy” Crane of Grandview; two sisters, Diane Duthu and husband, Jay of Eagle Rock, and Karen Crane of Berryville; one nephew, Ryan Ellis of Mount Pocono, Pennsylvania; several cousins and many good friends. He was preceded in death by his father Howard F. Crane and two nephews, Jason Ellis and Jeremy Crane. To send flowers or a remembrance gift to the family of Alan Lee Crane, please visit our Tribute Store. A gathering of friends and family will follow the service at the chapel. "Email Address" would like to share the life celebration of Alan Lee Crane. Click on the "link" to go to share a favorite memory or leave a condolence message for the family.